How to alter a strapless gown by using custom tailoring steps to add the top portion of a blouse bodice. Strapless dresses are popular and often considered to be chic, but not everyone is comfortable in them. To alter a strapless dress to make it modest, find a blouse with a neckline, shoulders, and sleeves that are a similar style, a complementary color and a similar texture to that of the dress. Don't try to match a ribbed tank top with a satiny, strapless prom dress, it will look funny. It does not matter if the blouse fits through the body as long as the top third fits, because only the top portion of the blouse will be used for this alteration. Put on the blouse, then put the strapless dress over it. Make sure the blouse is tucked in tight and the dress is completely fastened. Turn the top edge of the dress down 1/2 inch, and make small tailor's chalk marks on the blouse every three inches, along the folded dress edge. Make small numbered marks on both the dress and blouse showing where side seams and the center front line up. An assistant to help with the marking will be needed for this step. Spread the blouse flat on the table, make marks one inch lower than your original marks, on only the front, to make a seam allowance, and line up the straight edge of the ruler or yardstick with the tailor's chalk marks to make a line across the new bottom edge of the blouse. Make a mark in the center of the back, four inches blow the original center back mark. Draw a curved line that goes from the side seam to center back. Fill in between the marks with tailor's chalk and use the scissors to cut along the line. The back will need extra fabric to tuck in because sewing right up to the closure on the dress will make it very hard to wear. Fold the newly cut bottom edge under 1/2 inch, then fold it a second time directly over the first fold. This will completely finish the raw edge by folding it in. Pin the folded edge with the straight pins. Finish the edge by running the sewing machine's stitching along the inner edge of the fold, 1/8 inch from the edge. Remove the pins. Line up the side seam marks and the center seam mark, and pin the blouse inside of the strapless dress, making a 1/2 inch overlap. Measure two inches out on each side of the dress closure, and pin the blouse along the original tailor's chalk line, up to this point. Place pins every two inches all the way around the top of the dress. If there are any noticeable puckers, divide the extra fabric evenly between the pins and pin it in place. Make sure the thread on the sewing machine matches the dress fabric, and sew all the way around the top of the dress, top-stitching 1/4 inch from the edge.. Start at the mark two inches from the back closure and stitching all the way to the mark on the other side of the back closure. Altering a dress this way is a major tailoring project, and while it is possible for a beginner to get the job done, it will be easiest if the tailor has at least intermediate sewing skills. Cleaning and carefully packing vintage garments for air-tight storage will help keep them fresh and in good condition. Vintage clothing is not worth much if it gets damaged in storage, but no rule exists saying it has to get damaged. You can protect the value of your vintage clothing through safe packing, storing, and careful handling. Also, when you clean vintage clothing before storing, moths will not find a welcoming nest and inviting food source. Some clothing items can be folded and safely packed away but others will need to be draped over a hanger and stored in a suspended state in a garment bag. Proper packing and storing of vintage clothing is vital to preservation of these items. Examine the vintage garment. Look for signs the garment may be too weak to withstand normal or hand washing. Check the care label for washing instructions. Wash and dry the garment using your regular laundering technique in the washing machine; if the garment is sturdy enough to withstand washing. If the fabric fibers are weak or you see pinholes do not attempt laundering. If the fabric will not stand up to washing because of condition or fiber content, dry clean the garment or press with a steam iron. Dry the vintage clothing completely in the dryer or on a clothesline. Make sure the garment is completely dry before packing to prevent mold growth. Drape the garment over a hanger. Close any zippers or button plackets so it hangs straight. Slide the vintage clothing into the garment bag, zip the bag shut, and hang the bag in a cool, dry closet. Garment bags are a good option for storing vintage garments, especially dresses. Zip up or close buttons, if you are storing the clothing in a trunk. Spread the vintage garment out flat on the table and fold neatly. Wrap the folded garment in white tissue paper. Place the tissue-wrapped vintage clothing in a clothes box, and then place the box inside a cedar-lined trunk. Cedar will help keep moths from eating and nesting in your vintage clothes. Some debate exists over the value of packing textiles in cedar-lined trunks to prevent moths from dining on the fibers. Using an air-tight container appears to be as important as using cedar lining to keep moths away. For more information about clothes moths and cleaning molds, you can visit the resources listed below. Zipper sliders stick when fabric gets caught and when zipper coils become corroded, but you can make a zipper work easier so you do not have to force it. Almost everyone who has worn a garment with a zipper, or used a bag with a zipper, has had that moment when the zipper is closing but it’s awkward and stiff, and then it sticks. What you do after that moment when the zipper first sticks can determine if you are going to break the zipper or save it. You can damage a zipper that does not quite work right by forcing it to open or close, but there are ways to make a zipper work easier. You can jam a zipper if the fabric surrounding the zipper is too floppy. You will need to sew the fabric down to get it out of the way for this problem. Your zippers can also be difficult to open if the teeth or coils get corroded. To fix this, you need to treat the teeth or coils to make the zipper work easier. Pull the zipper up and down slowly to see why it is sticking. If fabric is getting caught in the zipper pull, you need to sew the excess fabric down to make the zipper work easier. If the teeth or coils seem to be coated with something dry or sticky you need to treat or coat them to make the zipper work easier. Spread the zipper edge out flat on the table if the problem is excess fabric, so you can see the places where excess fabric is in the zipper's path. Fold the excess fabric under and pin it down using the straight pins. Thread the hand sewing needle and make a small knot, tying the thread ends together. Slide the needle's tip into the folded fabric, about 1/16 inch in, to hide the knot. Bring the needle tip out, catching about two strands of the fabric's fibers. Pull the thread snug. Move the needle's tip across to the zipper tape, about 1/16 inch forward and catch about two strands of fiber on the zipper tape. Pull until the thread is snug again, but not tight. 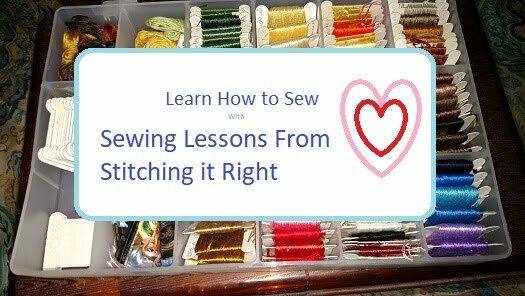 Repeat the 1/16 inch stitching until you reach the end of the folded excess fabric. Dip the toothbrush in distilled white vinegar if the zipper teeth or coils appear the be dry or sticky. Brush the vinegar into the zipper teeth. Let the vinegar soak in for about ten minutes, then dip the brush in vinegar and scrub again. Let the zipper teeth air dry. Rub the hard candle wax or bar soap against the zipper teeth. Use firm pressure when you rub, but do not rub so hard the wax or soap crumbles or gets on the fabric. Gently pull the zipper's slider up and down two or three times to spread the wax over the zipper teeth.